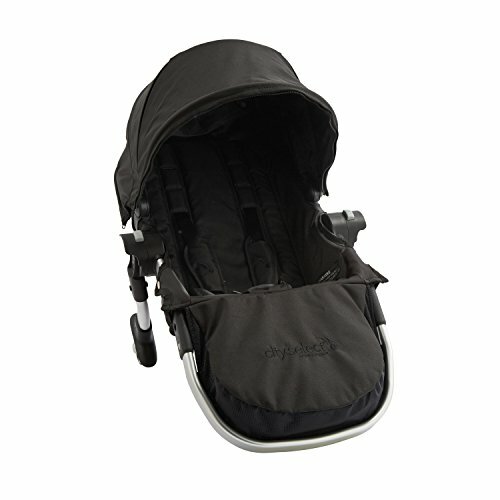 This city select second seat kit converts your city select single silver frame to a double in line stroller. This second seat kit includes the second seat adaptor brackets in silver and a complete full sized seat. Seat features an adjustable recline no matter which direction the seat is facing, multi position sun canopy with peek a boo window and adjustable head height, adjustable foot well wilt for smaller legs and a 5 point safety harness with shoulder pads and buckle cover. Maximum weight capacity is 45 pounds.